Eating in the Magic, Under the Stars, and with the Beasts! | It's "All in WDW"
Eating in the Magic, Under the Stars, and with the Beasts! Uh, one more day, dear. Then, I’m going to pop back over to Resorts Table Services for one last bit of “data crunching” and ranking. The All in WDW family has NEVER dined at a Magic Kingdom table service restaurant. To be honest, IF we eat in The Kingdom, we typically choose to have a burger at Pecos Bill Tall Tale Inn and Café. Anyway, will we try a table service at some point? Oh, I’m sure we will, but it will most likely be to enjoy a meal at Be Our Guest or Liberty Tree Tavern. The other four choices hold little appeal for us. Wow! 50’s, and, then, everyone else. In fact, the Readers have spoken. When in the Studios, go to 50’s Prime Time Café, folks. We’ve dined at 50’s Prime Time, but I might not be allowed to return. Why? Well, I’m embarrassed to admit it, but Mom caught me cheating on my homework. Actually, not only do we like 50’s, we like the fact that you can also enjoy its food, ambiance, and theming from a seat in the attached Tune-In Lounge! It has been a very long time, but we have actually made a version of The Hollywood Brown Derby’s famous Cobb Salad. That was years ago, pre-Atlanta and pre-blogging, but thinking about that salad makes me want to recreate it again. Might have to happen in the near future! 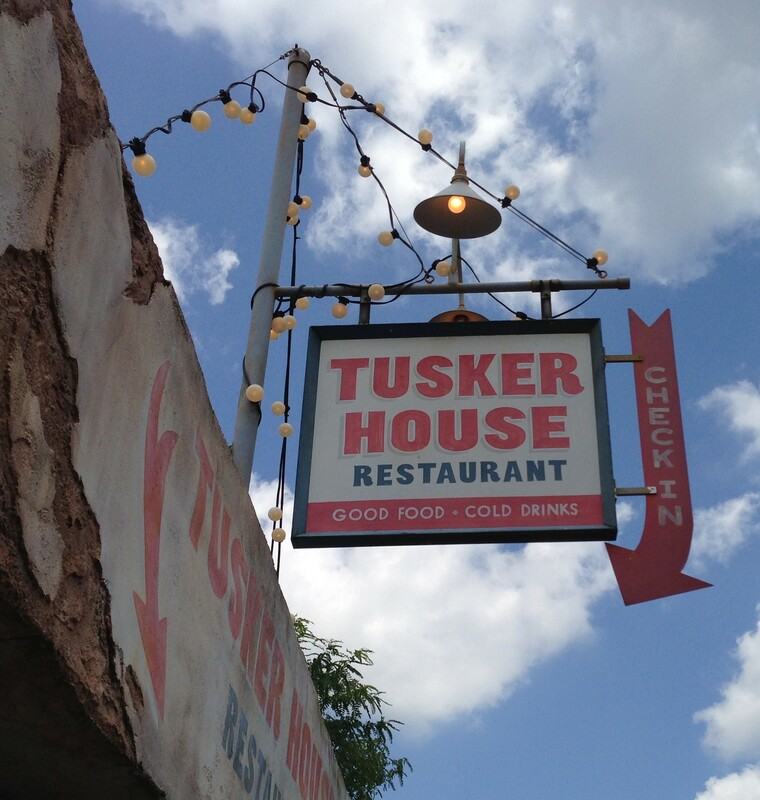 As big fans of Animal Kingdom Lodge’s Boma, Mrs. All in WDW and I had been anxious to find a time to drop in on the Animal Kingdom’s food-fest – Tusker House. We finally did it last year and enjoyed it quite a bit. It’s victory over Yak & Yeti and Rainforest Cafe came as no surprise. Margins of victory. We know who the “champions” are, but by how much did they win their respective park’s title? How do I interpret this? Easy. There is a clear and definite favorite in each and every park. You want to eat once in each theme park? We’ve got the four ADRs for ya’! Average vote totals – all restaurants by park. What I mean here is … if all restaurants in a given park are taken together, what was the average of their collective OVERALL vote totals? Interpretation? It’s just plain hard to beat the love we have for the Magic Kingdom! Buoyed mainly by Be Our Guest, Crystal Palace, and Liberty Tree Tavern, The Kingdom’s table services really racked up the support! ← The Sudden and Surprising End of Parks Table Services? Huh?